Writing under the name Lewis Carroll, Rev. Charles Lutwidge Dodgson (1832–1898) was one of the major literary figures of Britain’s Victorian Age. Of equal significance, however, was his emergence as one of the most important photographers of the era. In 1856, shortly after taking up a mathematical lectureship at Oxford University, he purchased a camera and began taking photographs; it would become an avocation that he would pursue avidly for the next quarter of a century. Rights The Harry Ransom Center does not own the rights for this item. It is the responsibility of the user to determine the rights status and secure permissions for the use of this item. 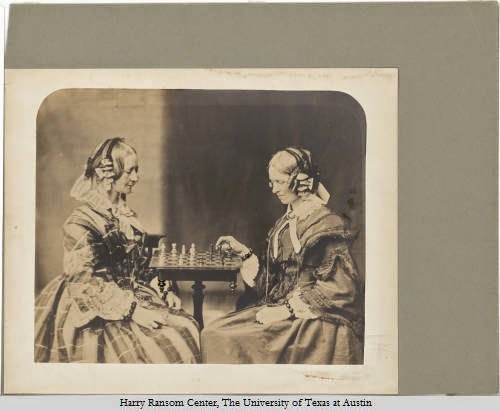 The Photography Collection at the Harry Ransom Center holds 262 albumen photographs by Julia Margaret Cameron (British, 1815-1879). While the majority of the prints are loose, there are also five bound volumes containing mounted prints. Highlights include a notable series of seven prints previously owned by the poet Dante Gabriel Rossetti, and albums associated with Cameron’s neighbor on the Isle of Wight, Alfred, Lord Tennyson. 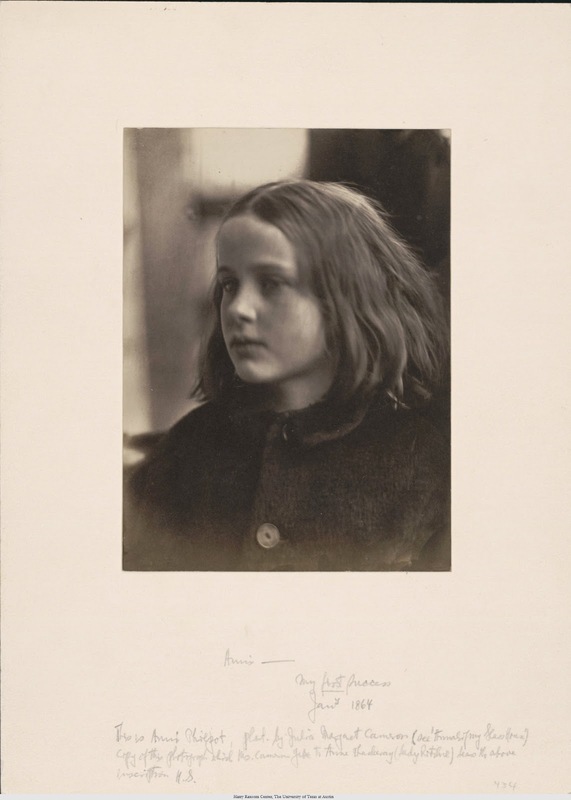 Collection Description 140 loose prints by or associated with the English photographer Julia Margaret Cameron, both tableaux vivants and portraits. Albumen and silver gelatin prints. Time period represented by these photographs is 1863 to 1879.